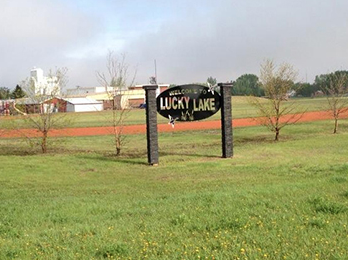 Lucky Lake’s Double “L” Motel sits right along highway 45 and was built in 1996. 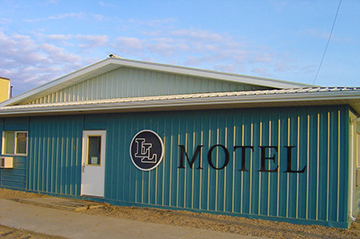 The Double “L” Motel is a Modern 16 room motel, with air conditioned rooms, in room fridges, cable T.V, free internet and a wheelchair accessible room. Managers are Ron and Bonnie Gerbrandt. If you would like to make a reservation at the Double “L” Motel please call 306-858-2008, for after hours please call 306-858-2450. Full service campground right on the north west end of Lucky Lake. This campground offers a great opportunity for those staying in the area for work or play. Lucky Lake is just a short 19 km drive to Lake Diefenbaker, making this campground a convenience at a lower price with all of the ammenities! To book your spot at the campgroud, you can phone Basket-Full at 306.858.2626.